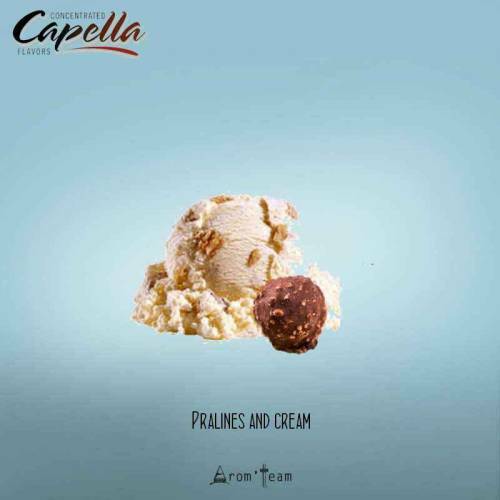 A praline ice cream flavor with a light caramel and pecan nuts mix in exhale. A potential all day vape ! What is Pralines and Cream concentrate ? A combination of flavors that is reminiscent of a famous vanilla ice cream combined with caramel sauce and caramelized pecan nuts. 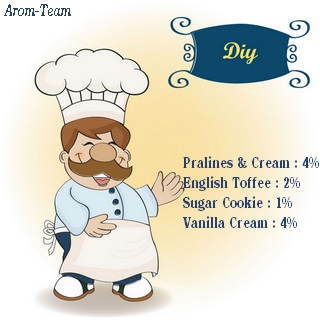 * Arom-Team review : an exquisite fragrance, an explosion of flavors bringing us back to a delicious praline cream not too sweet, a real success for a subtle vape juice. How to use this Capella flavor ? Pralines & Cream is a unique concentrate that can be used on its own or in combination with coffee flavors too harsh. If you like ice cream, this flavour will bring you a satisfying ecig juice for a fine vape. How to dose Pralines and Cream flavoring ? What steeping time for a Praline e liquid ? Is this flavor only for e cigarette ?